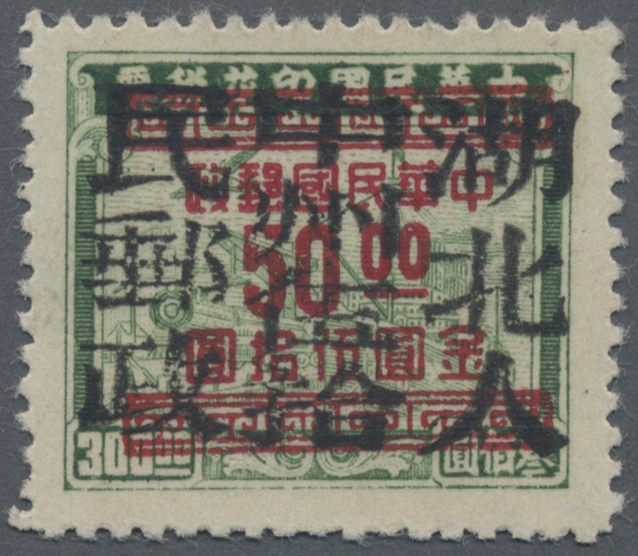 5309 ungebraucht ohne Gummi (unused without gum) (*) gestempelt (marked) 15-21 China Central Plains, Zhongzhou Area, 1949, "Zhengzhou Print Mao Zedong Issue", $5 -$300, cpl. 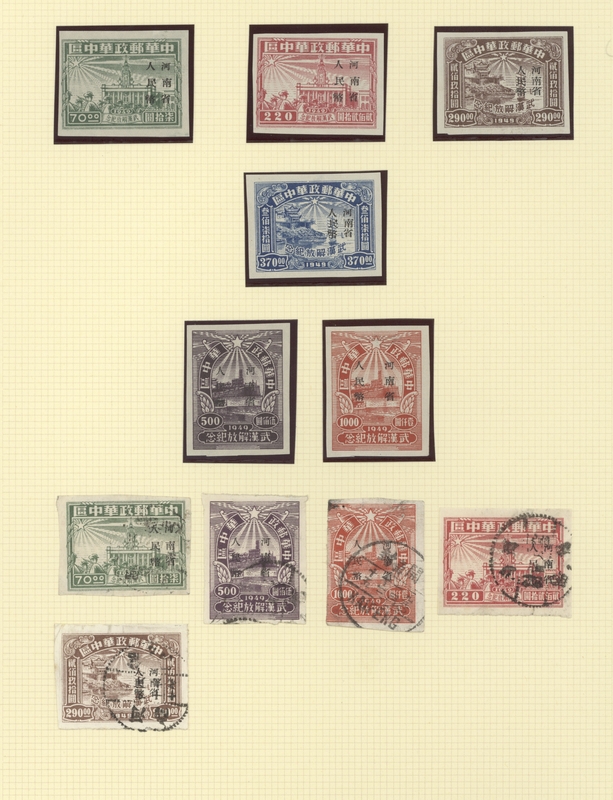 set of 7 (perf. 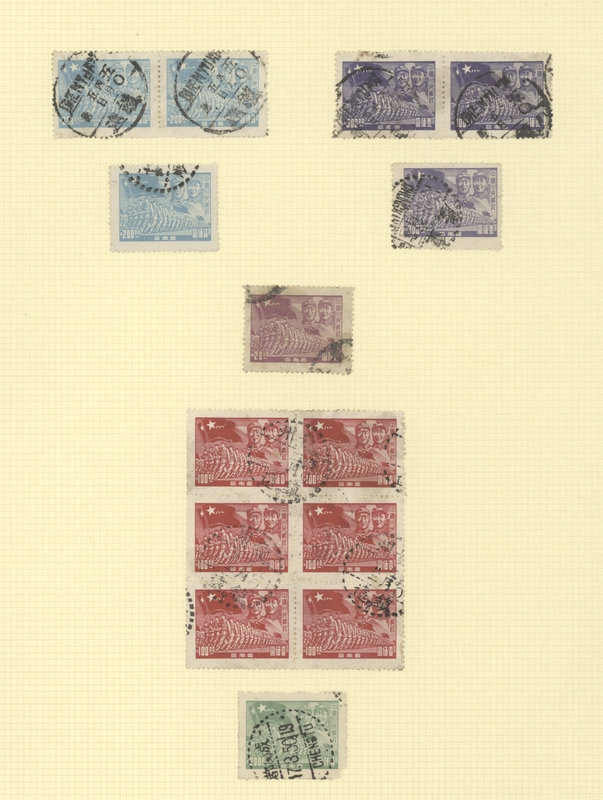 / imperf. 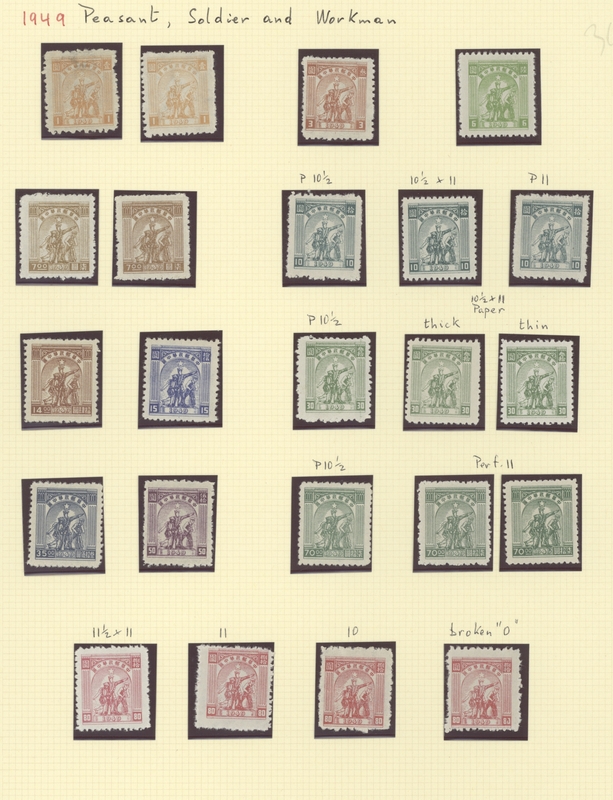 ), mint no gum as issued, additional 10 used copies and some varieties like $50 imperf. 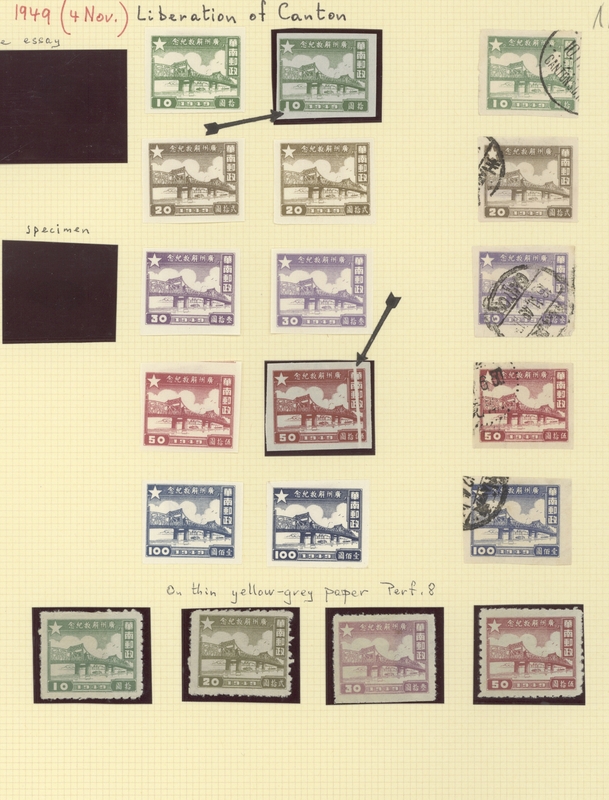 in between, total 31 copies, nice assembly, F-VF (Yang CC21-34, CC24a). 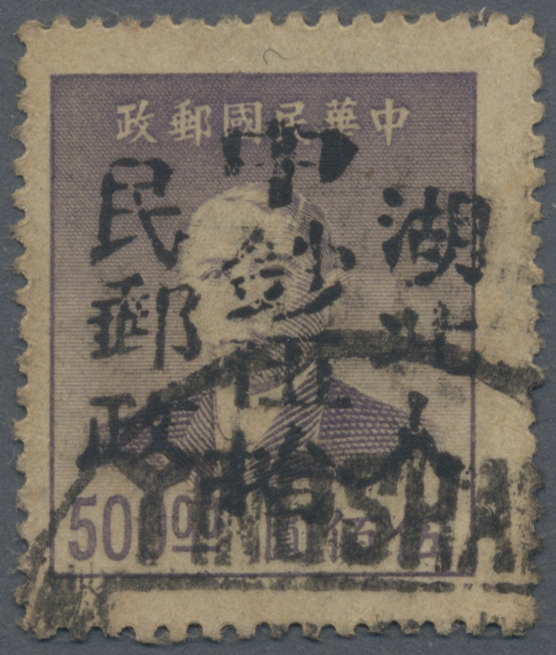 "2nd Kaifeng Print Mao Zedong Issue", $5 - $50, cpl. 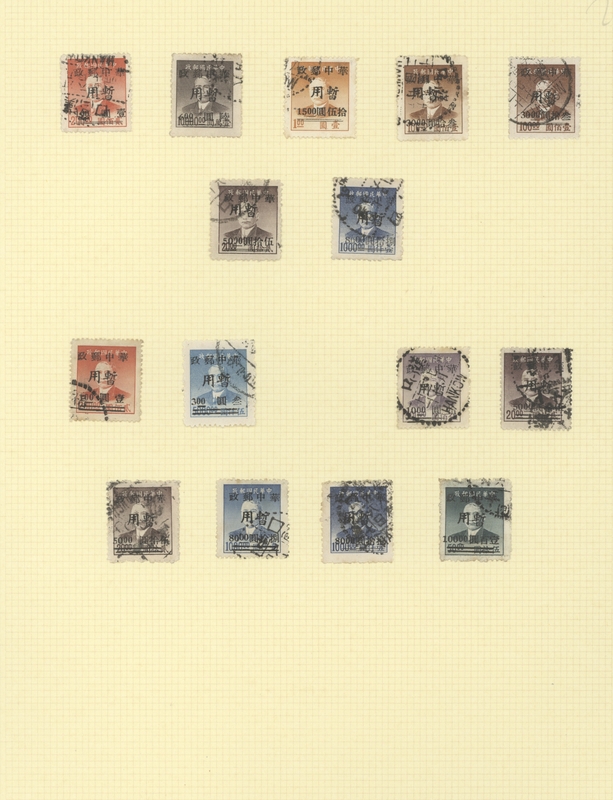 set of 3, mint no gum as issued, additional 5 used copies and some duplicated, total 11 copies, F-VF (Yang CC38-40). 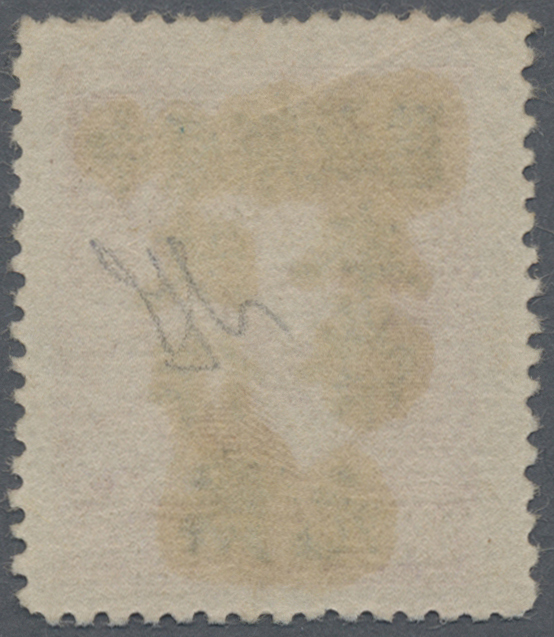 5312 ungebraucht ohne Gummi (unused without gum) (*) gestempelt (marked) 31-46, 84-97 Central China, Central China People’s Post, 1949, "Central China Post Temporarily Used for and new value" ovpt., $1/$200 - $100/$50, cpl. 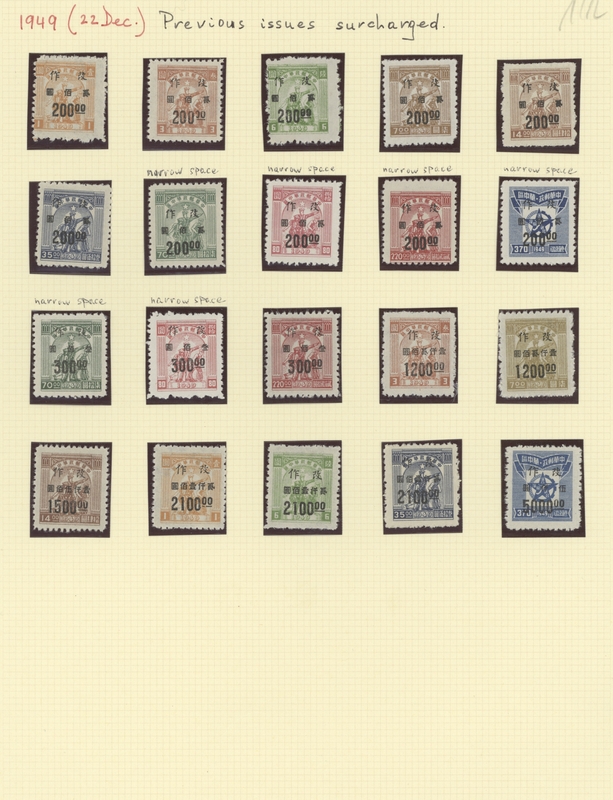 set of 16, additional 15 used copies and some ovpt. 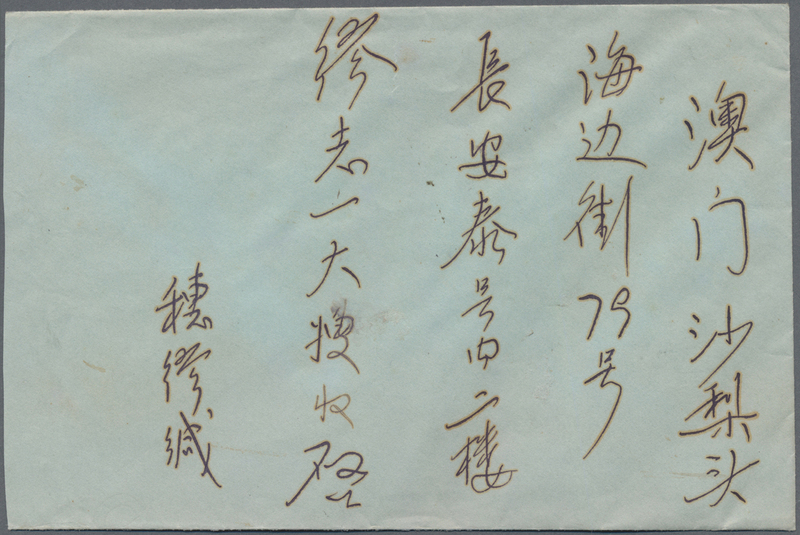 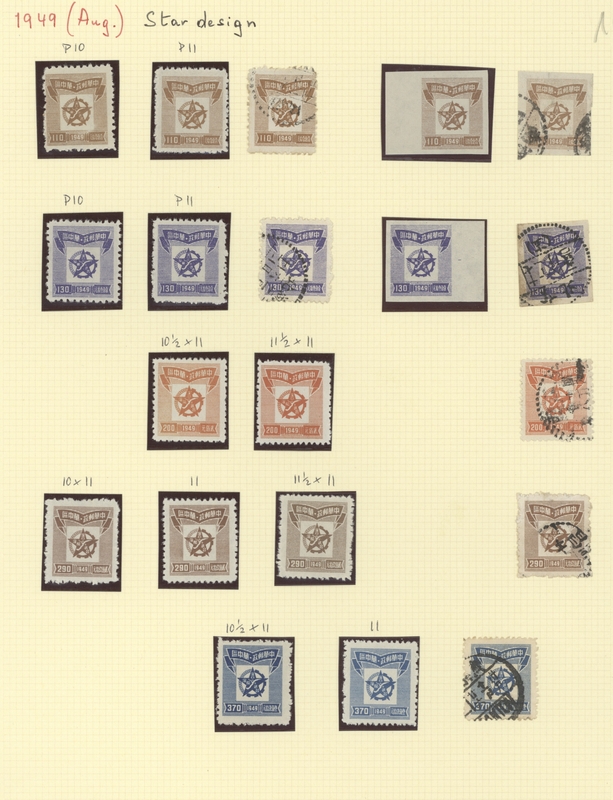 varieties, total 35 copies, F-VF (Yang CC47-62). 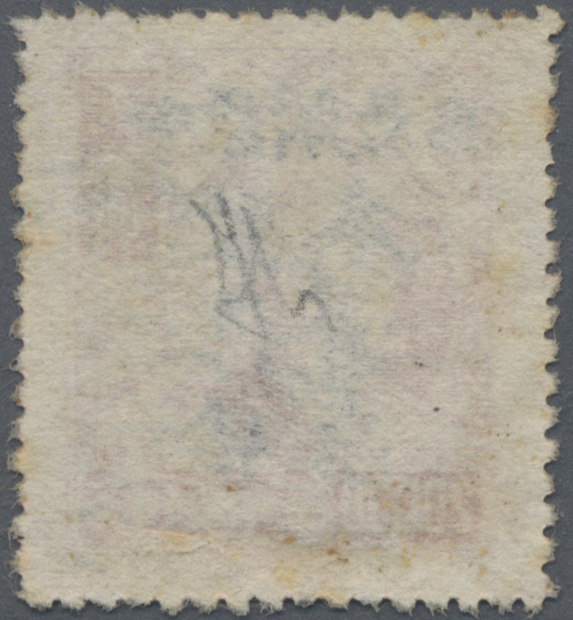 "1st / 2nd Print Worker-Peasant-Solider Issue", $1 - $80, cpl. 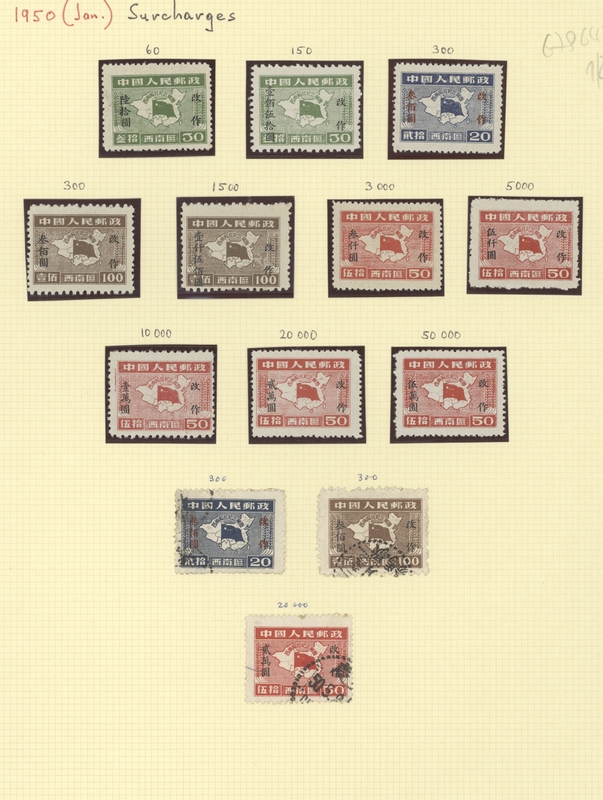 set of 9, mint no gum as issued, additional 13 used copies and paper / perf. 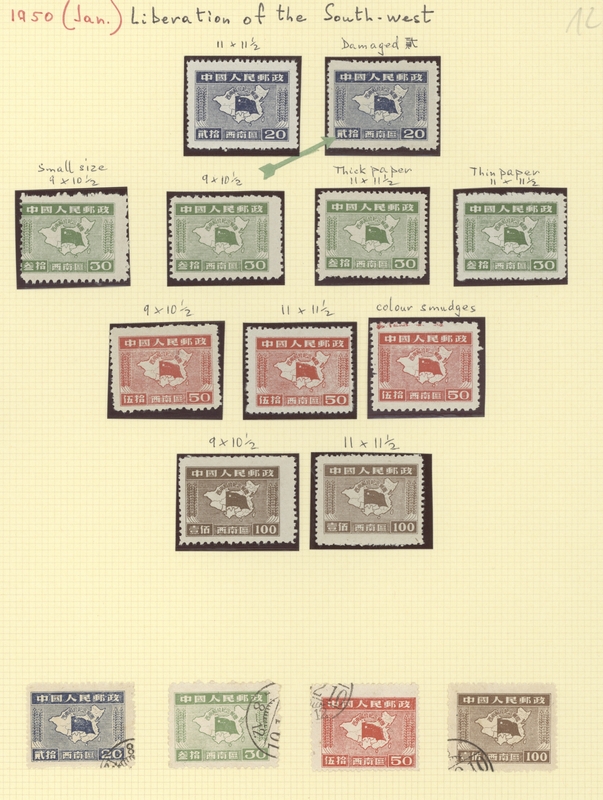 varieties like $10 stripe of 3 or vertical pair $50 imperf. 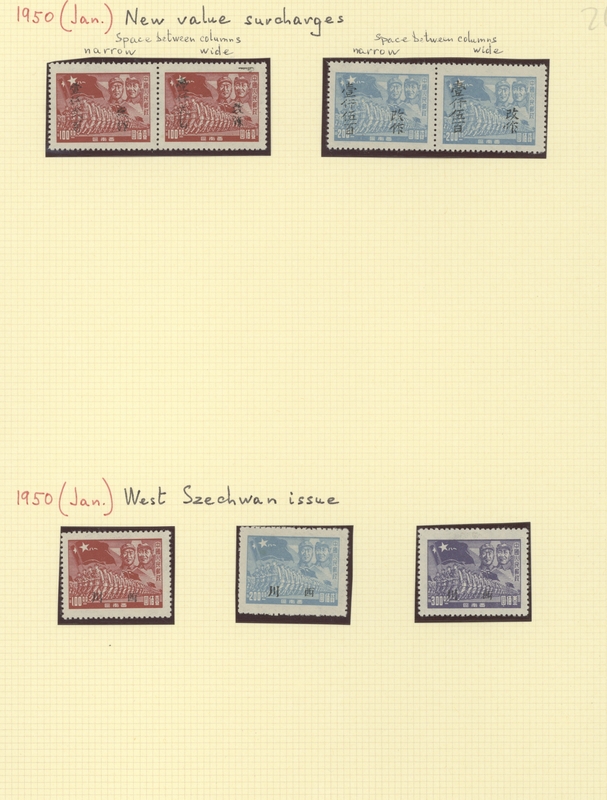 in between, total 45 copies, (Yang CC63-69A, CC69aa, CC80-85). 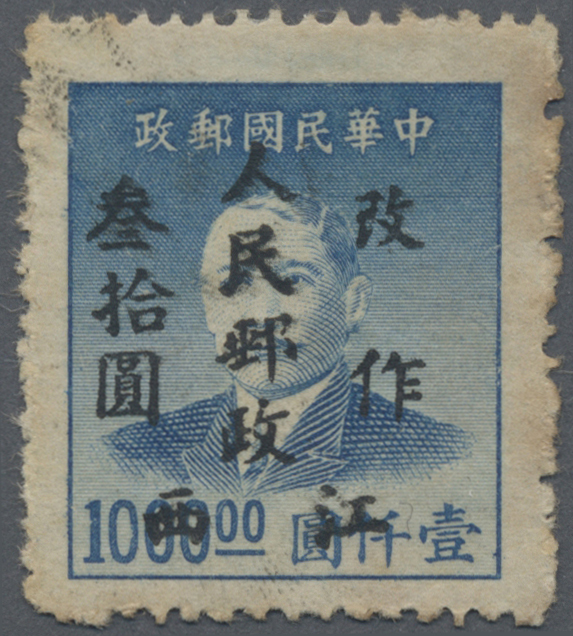 5313 ungebraucht ohne Gummi (unused without gum) (*) gestempelt (marked) 98-106, 1-4 Central China, Central China People’s Post, 1949, "1st /2nd Print Five Pointed Star Issue", $100 - $10.000, cpl. 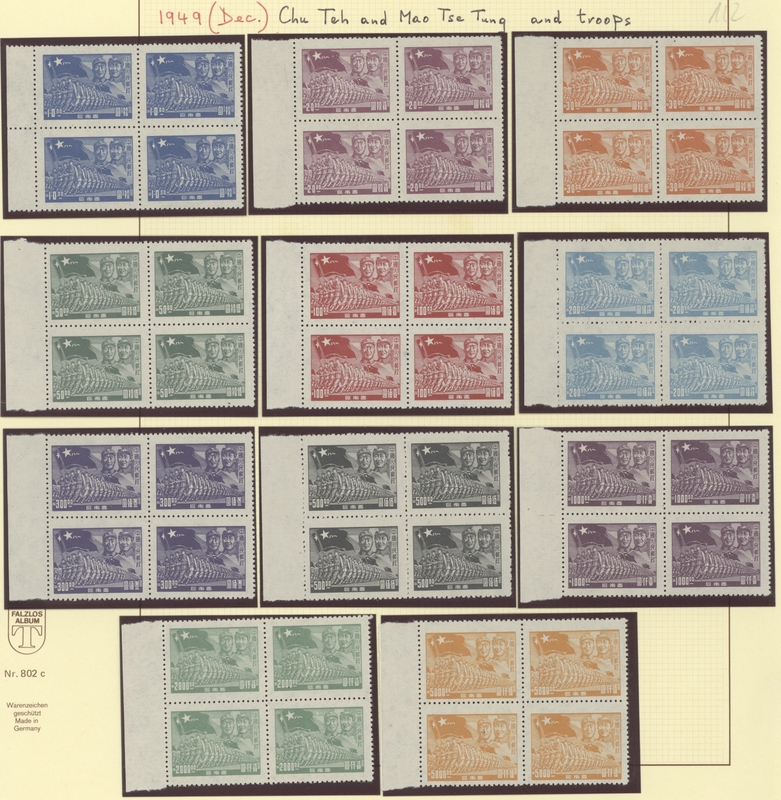 set of 9 (perf.) 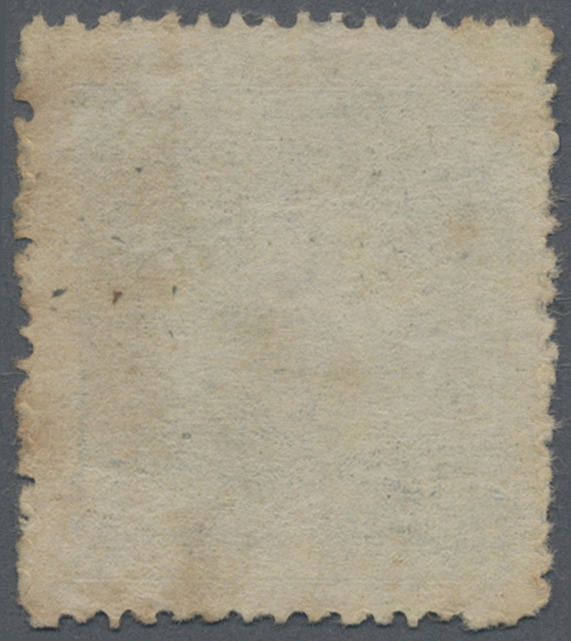 plus cpl. 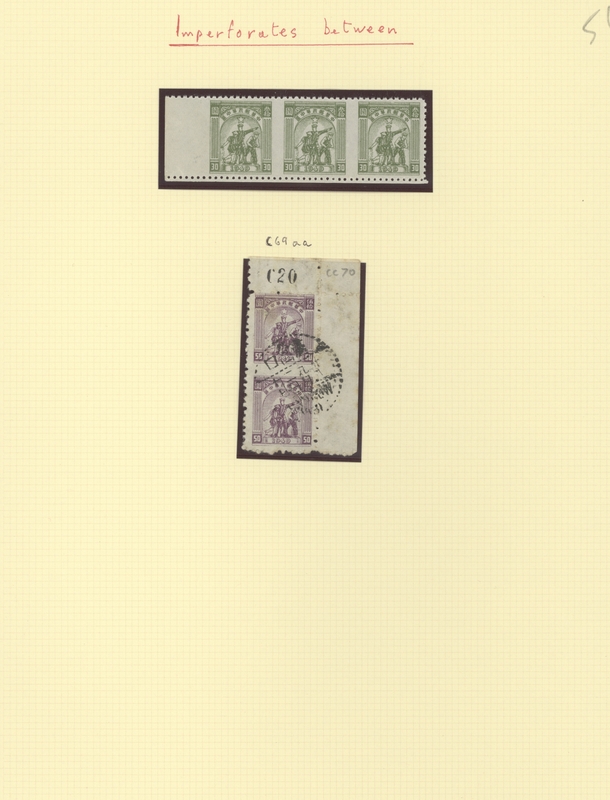 set of 2 (imperf. 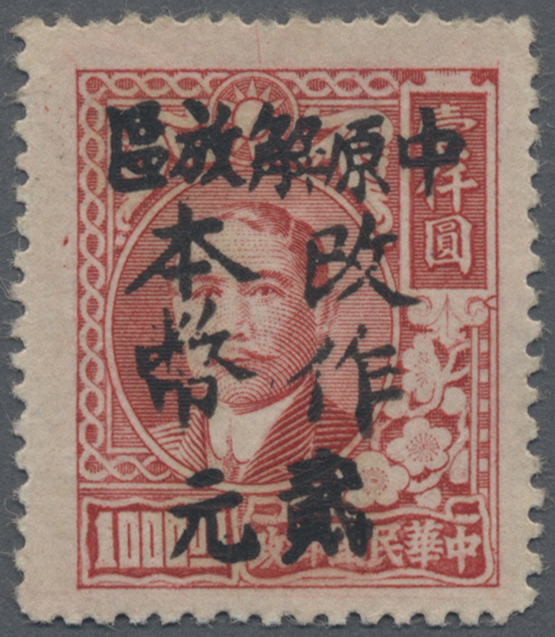 ), mint no gum as issued, additional 14 used copies and perf. 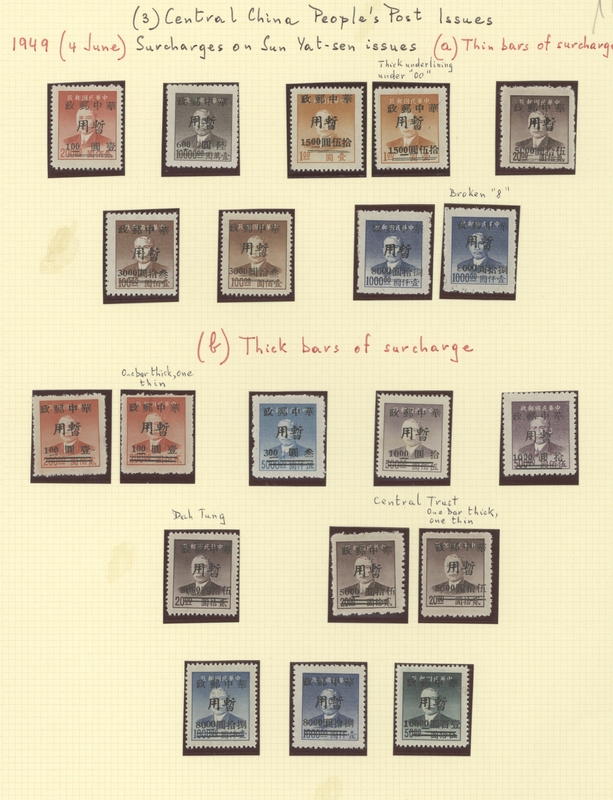 varieties, incl. 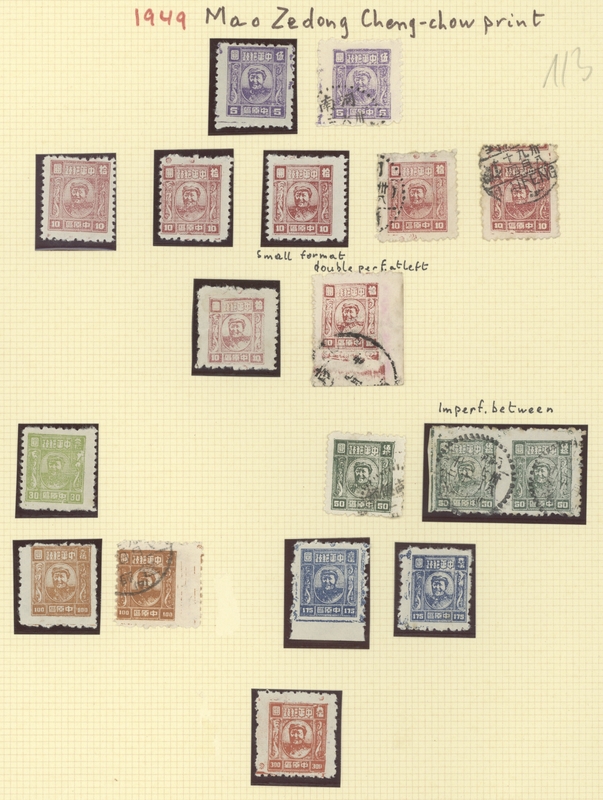 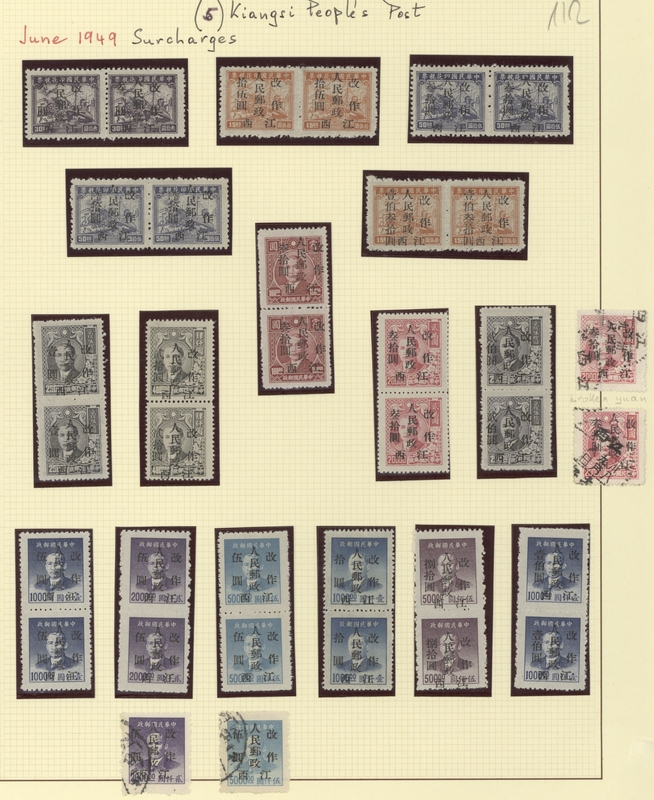 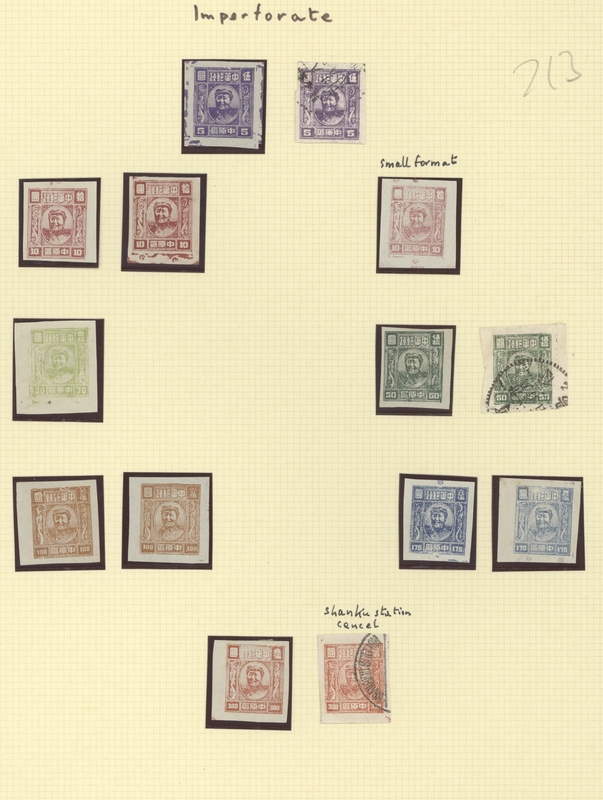 $500 and $1.000 dot variety, total 34 copies, F-VF (Yang CC70-79, CC74a, CC75a). 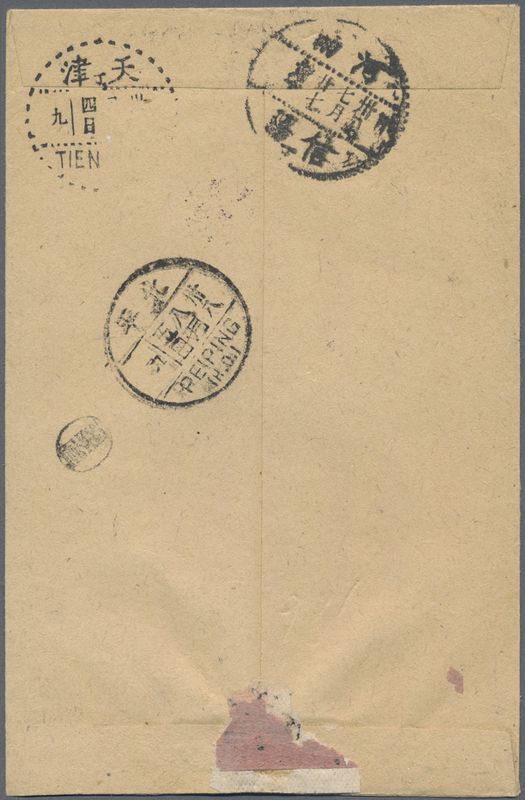 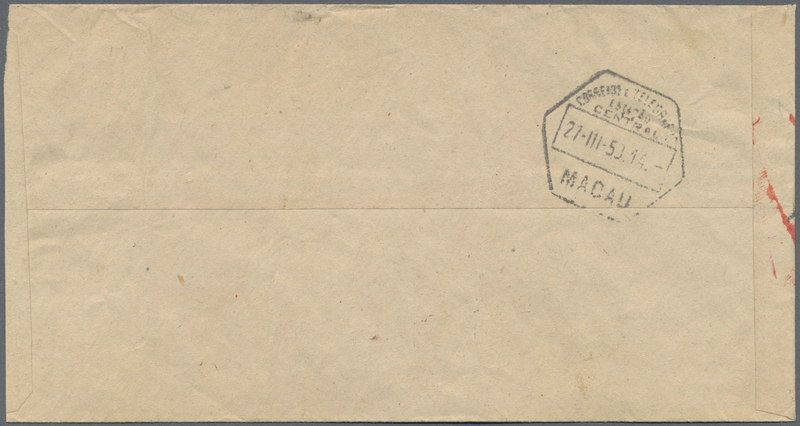 "Five Pointed Star Parcel Post Issue", $5.000 - $50.000, cpl. 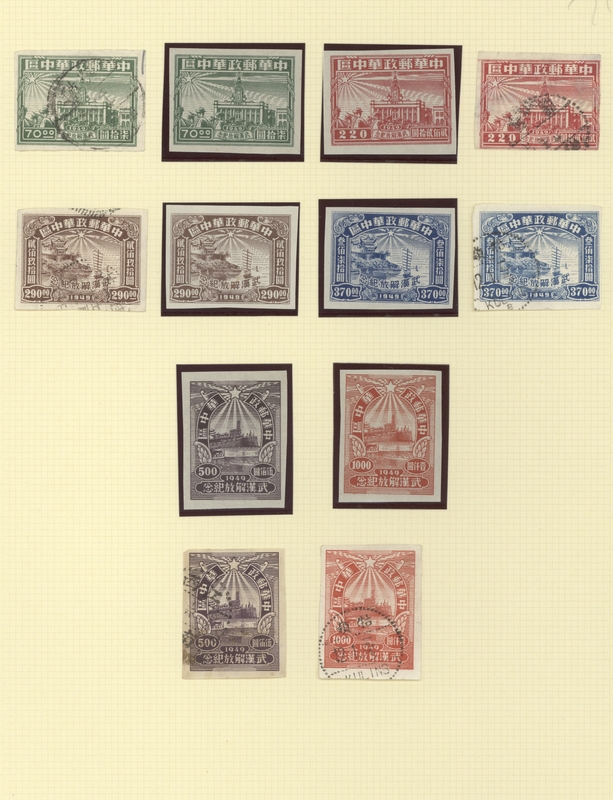 set of 4, mint no gum as issued, VF (Yang CCP1-4). 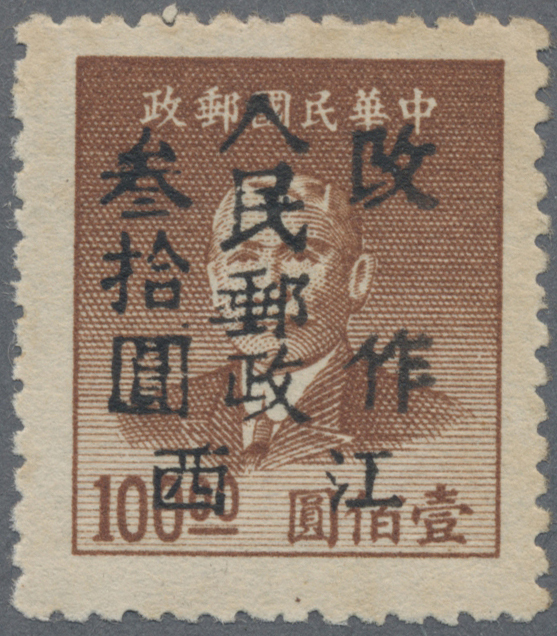 5316 ungebraucht ohne Gummi (unused without gum) (*) gestempelt (marked) 128-133, 154-159 Central China, Central China People’s Post, 1949, "Liberation of Wuhan Issue", $70 - $1.000, cpl. 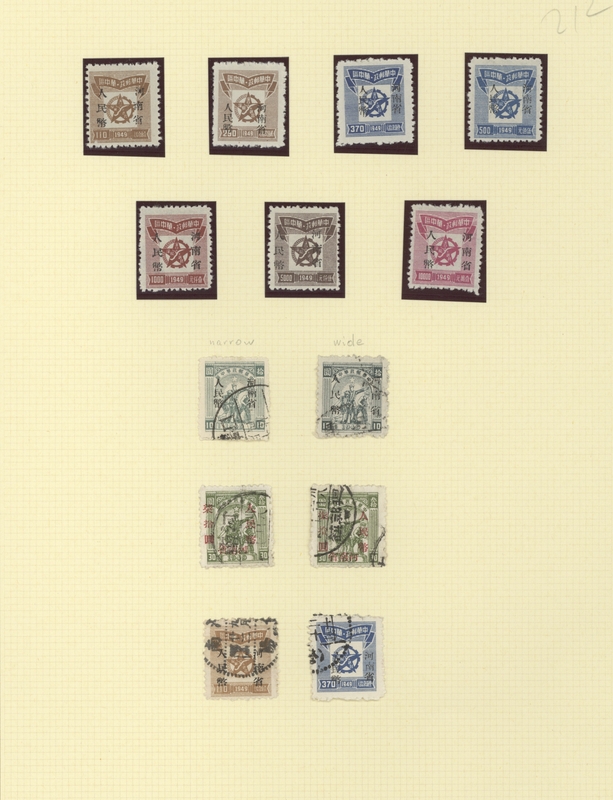 set of 6 (perf. 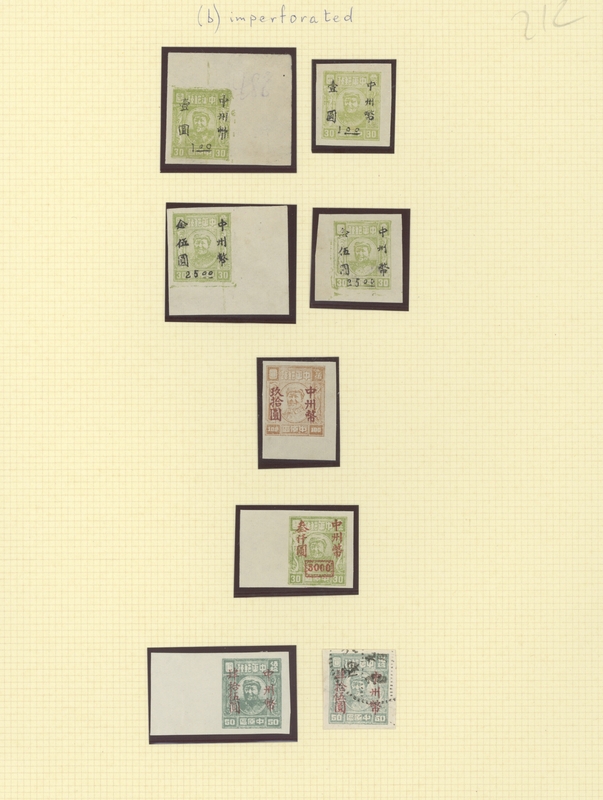 / imperf. 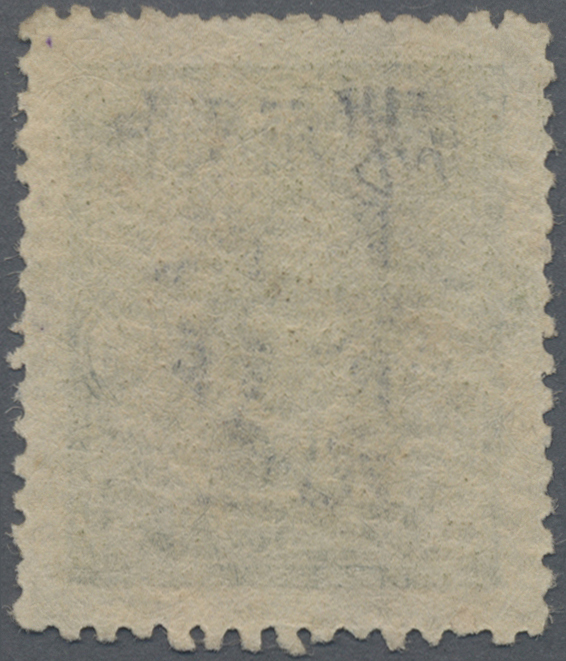 ), mint no gum as issued, additional 8 used copies, F-VF (Yang CC86-97). 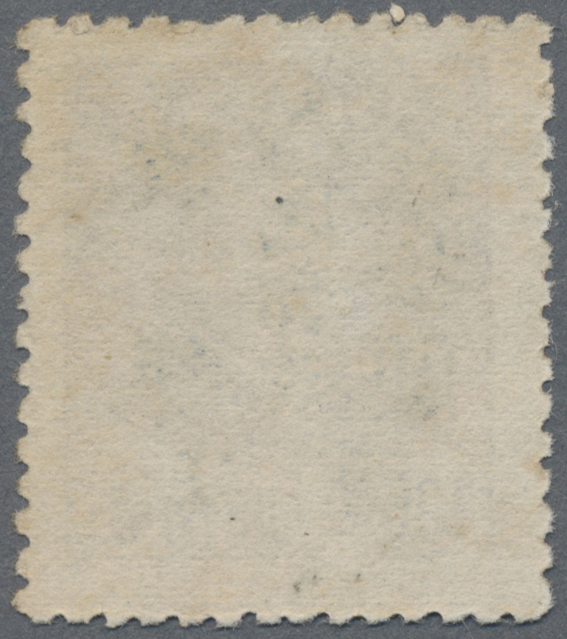 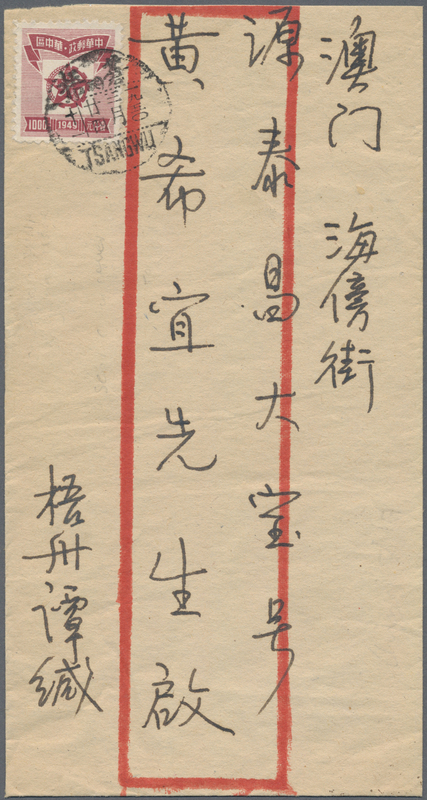 Central China, Henan Province, 1949, "Henan Province Renminbi" ovpt. 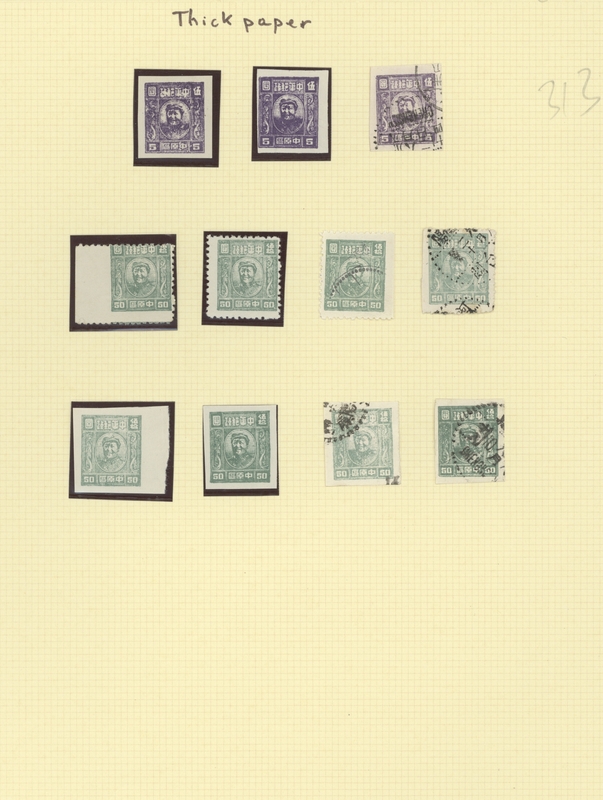 , $70 - $1.000, cpl. 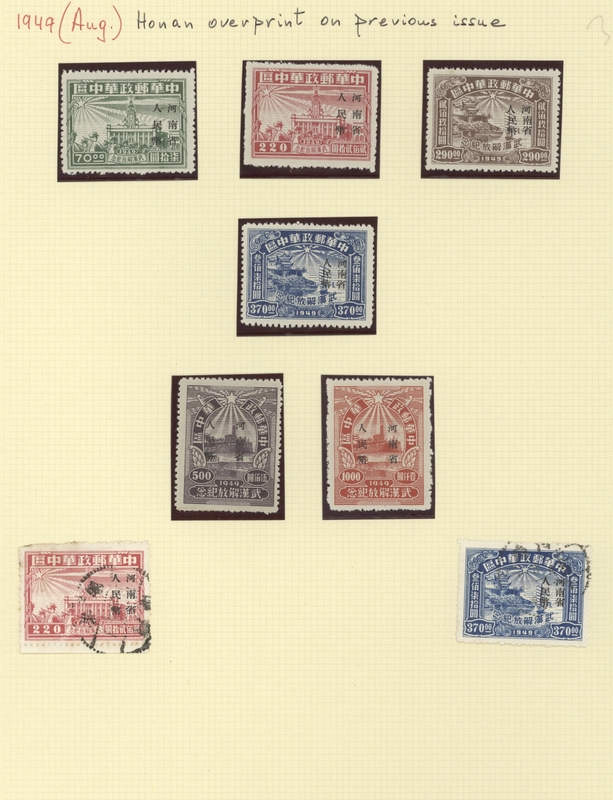 set of 6 (perf. 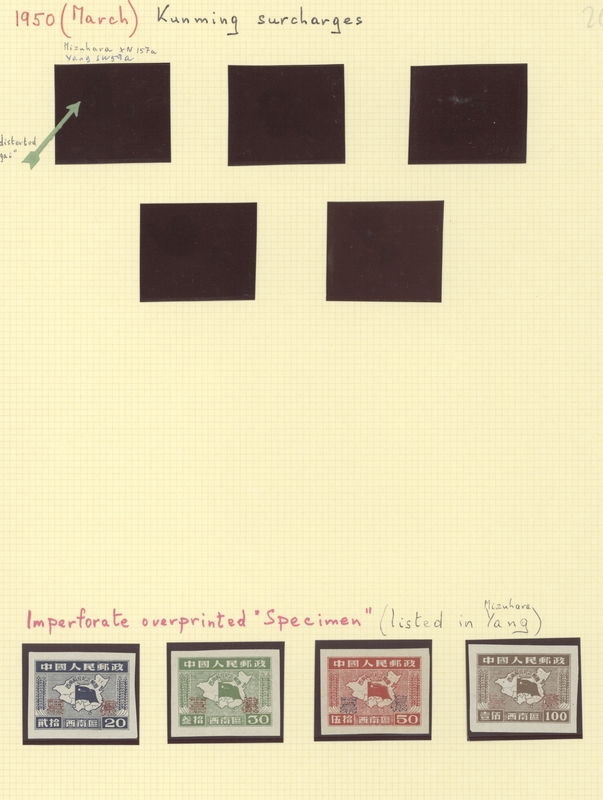 / imperf. 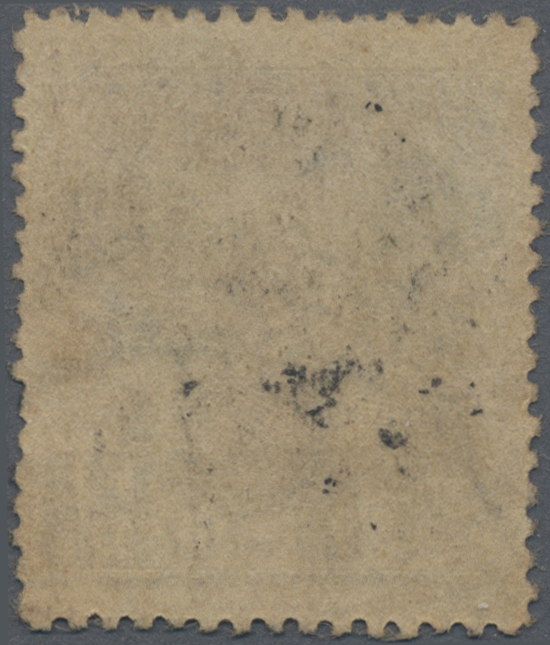 ), mint no gum as issued, additional 7 used copies, F-VF (Yang CC139-150). 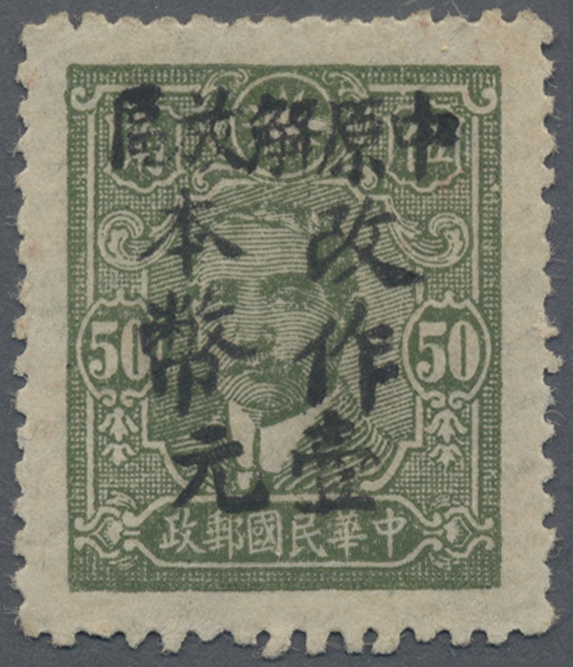 5319 ungebraucht ohne Gummi (unused without gum) (*) gestempelt (marked) 47-62 Central China, Jiangxi Province, 1949, "Jiangxi People’s Posts and new value" ovpt., $3/$30 - $200/$250, cpl. 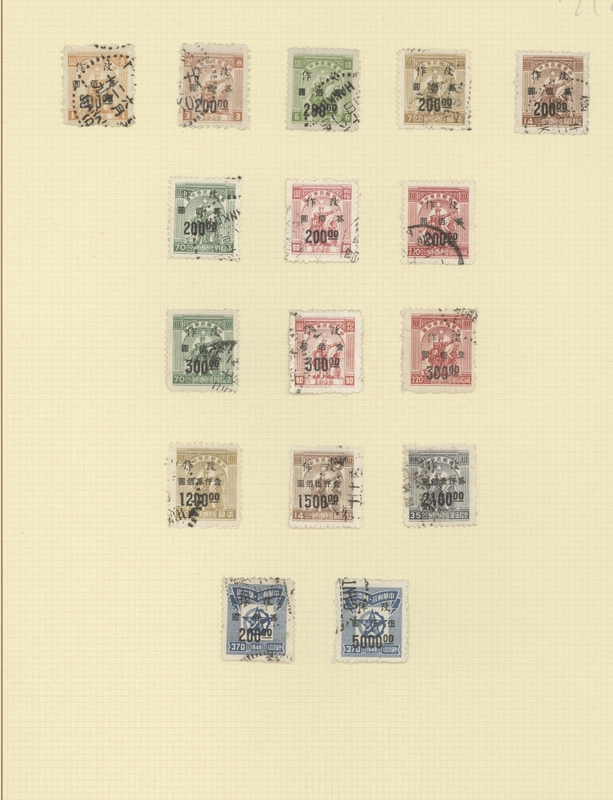 set of 16 in pairs, mint no gum as issued, additional 4 used copies, F-VF (Yang 151-166). 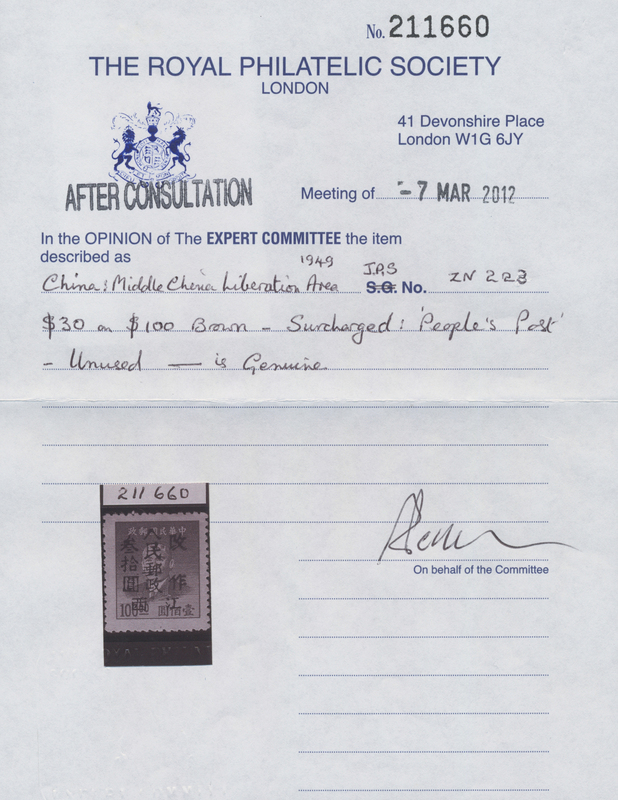 "Jiangxi Used for Renminbi and new value" ovpt., $1/$70 - $10.000/$6.000, cpl. 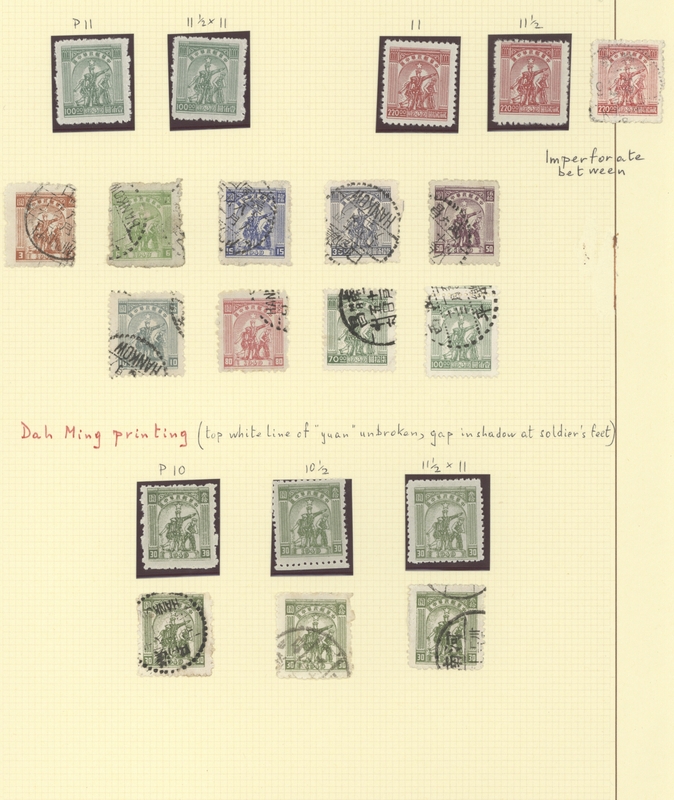 set of 10, 4 copies in blocks of 4, additional 1 used copy and 1 offset variety, VF (Yang CC167-176). 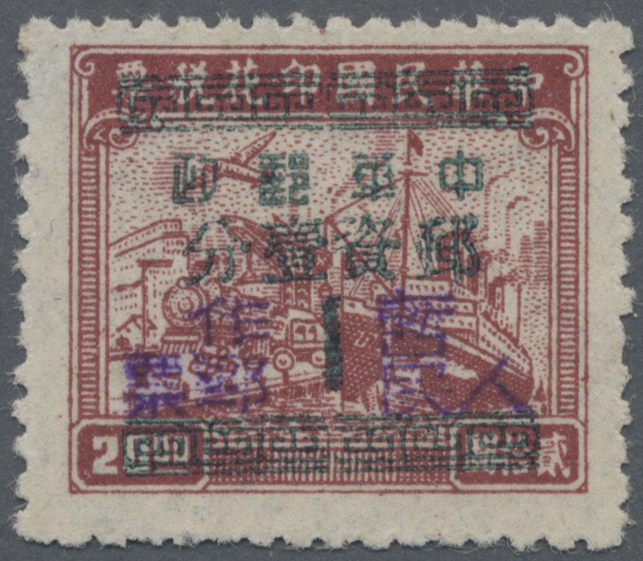 5321 ungebraucht ohne Gummi (unused without gum) (*) 3 Central China, Henan, Local Issue Zhengzhou, 1948, "Central Plains Liberated Area Changed to Penbi and new value" ovpt., $4/$2.000, no gum, F-VF, a rare stamp (Yang LCC3). 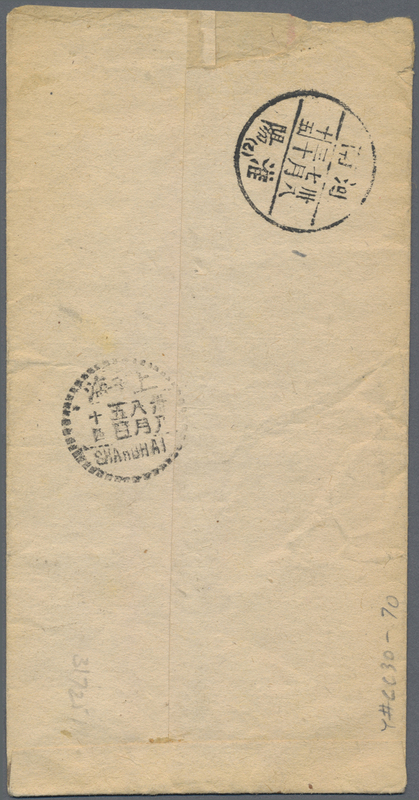 5334 gestempelt (marked) Central China, Jiangxi, Commemorative Postmark, 1949, "Liberation of Northeast on August 15th / Liberation of Changsha / Guling", ovpt., this commemorative postmark was used on 15 August 1949 on commercial letters and on stamps from the post office stock to create some (political) presents for customers, block of 4 and 2 single stamps, interesting item, F-VF. 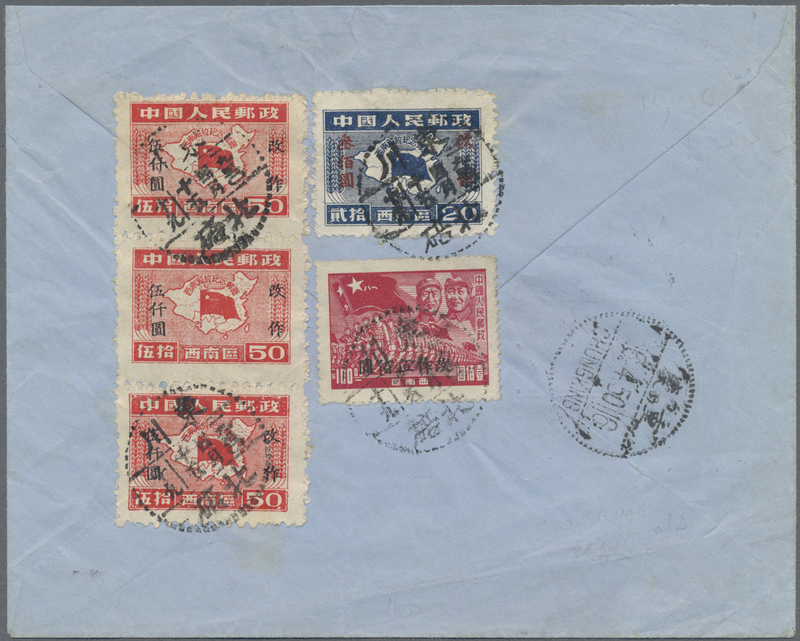 5335 ungebraucht ohne Gummi (unused without gum) (*) gestempelt (marked) Briefstück (on piece) Brief (cover) SPEC 14-23 South China Area, 1949, "Liberation of Guangzhou", $10 - $100, 3 cpl. 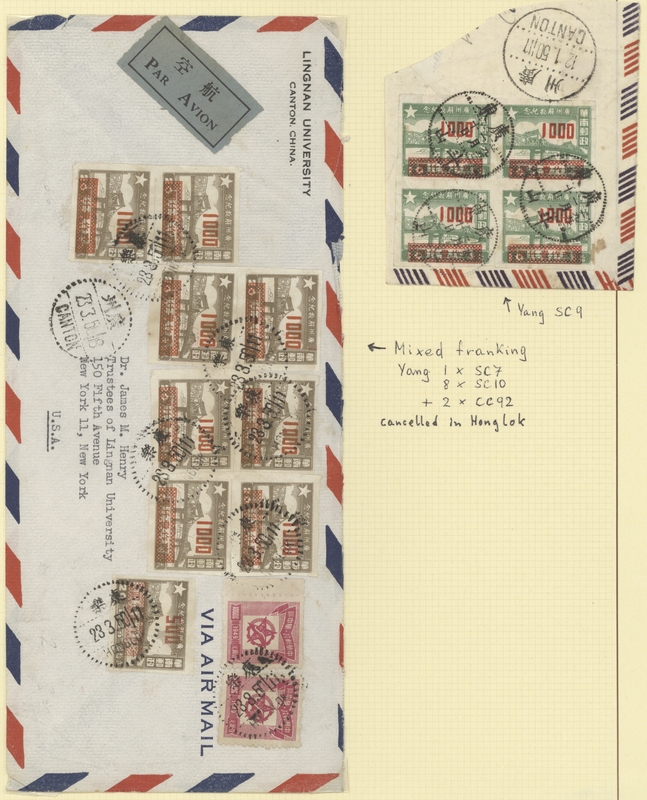 set of 5, mint no gum as issued and used, 4 perforated stamps (as is), proof sheet in black with all 5 values, F-VF (Yang SC1-5). 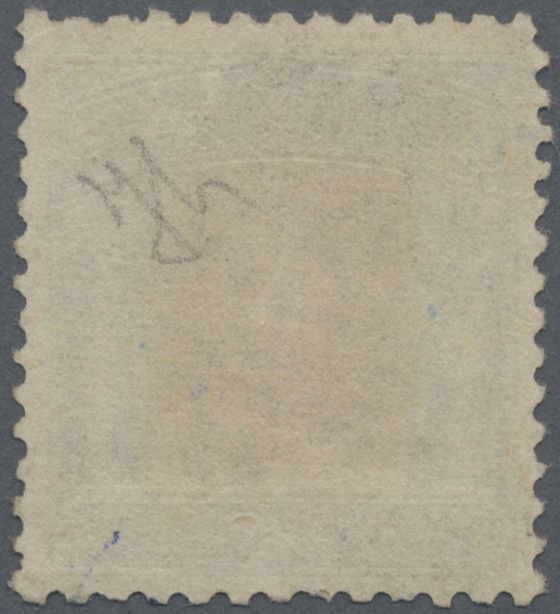 "Changed to and new value" ovpt., $300/$30 - $1.000/ $20, 2 cpl. 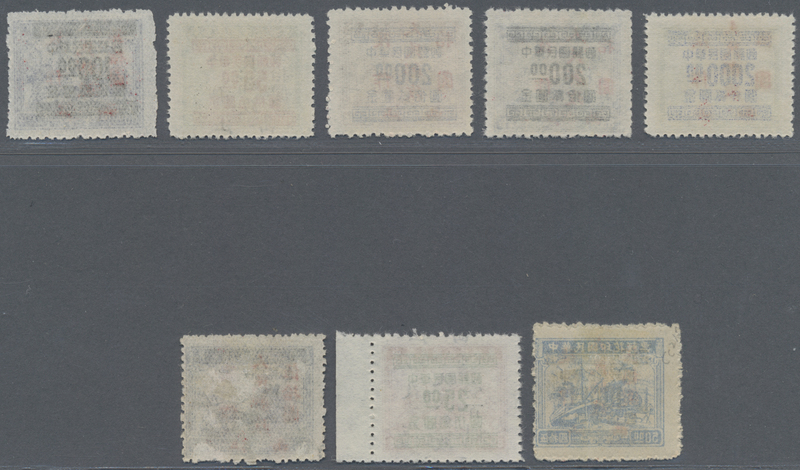 set of 5, mint no gum as issued and used, 2 inverted overprint copies ($300/$30, $500/$20 as pair), 1 cover and 1 piece of cover, F-VF (Yang SC6-10, SC7a), total 32 copies. 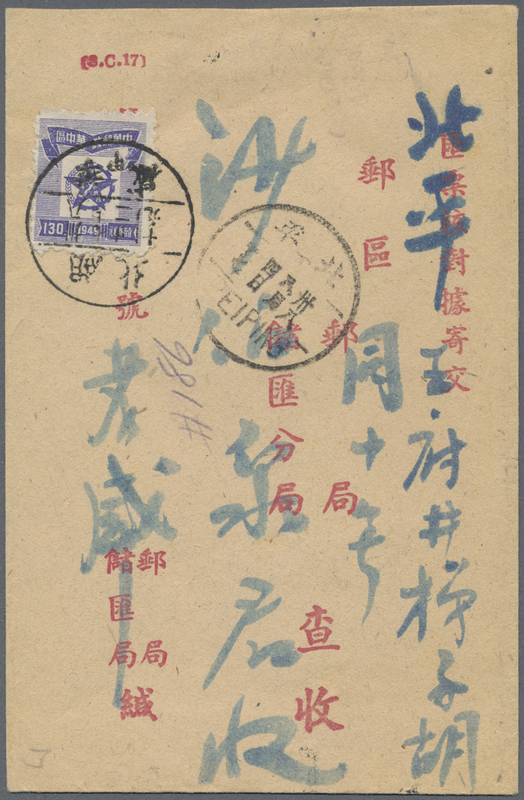 5341 ungebraucht ohne Gummi (unused without gum) (*) gestempelt (marked) schön (beautifully)postfrisch (never hinged) **ErsttagsblätterAnsichtskarte (Picture postcard) 17-20 Southwest China, Southwest People’s Post, 1950, "Liberation of the Southwest", $20 - $100, 2 cpl. 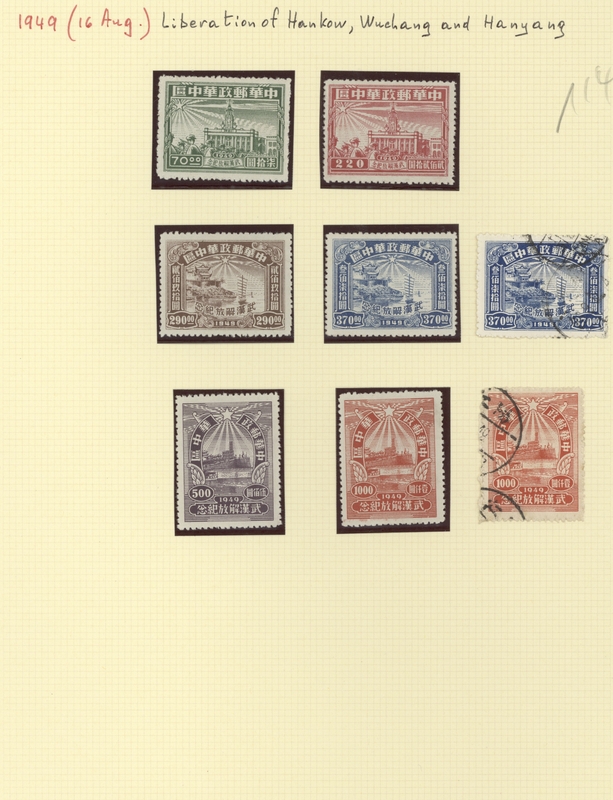 set of 4, used and mint no gum as issued, additional 7 copies with perf. 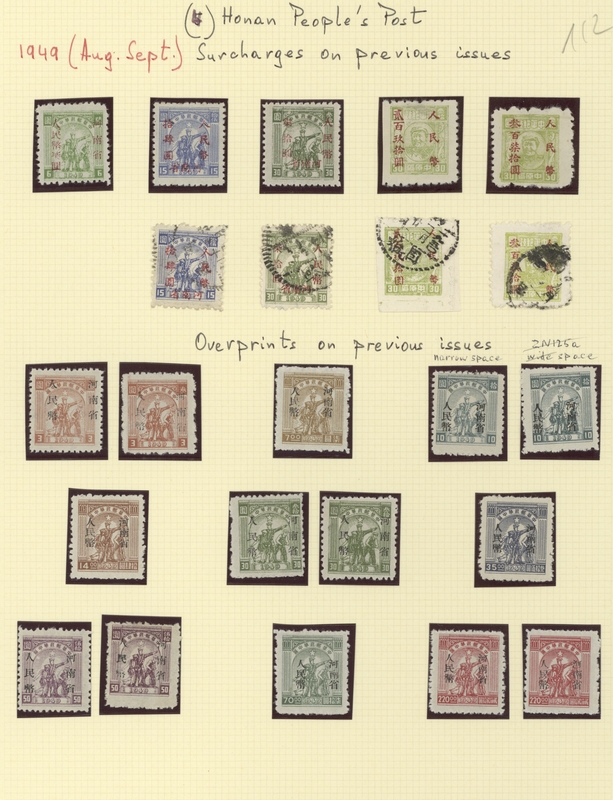 varieties, VF (Yang SW12-15). 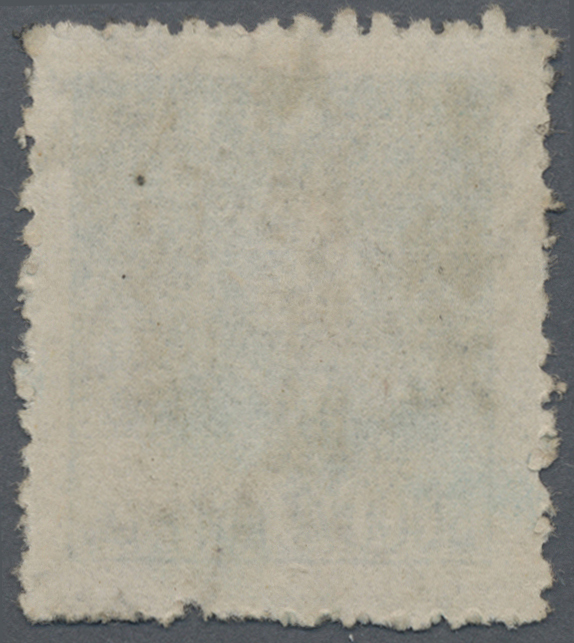 "Liberation of the Southwest" with "SPECIMEN" ovpt., $20 - $100, cpl. 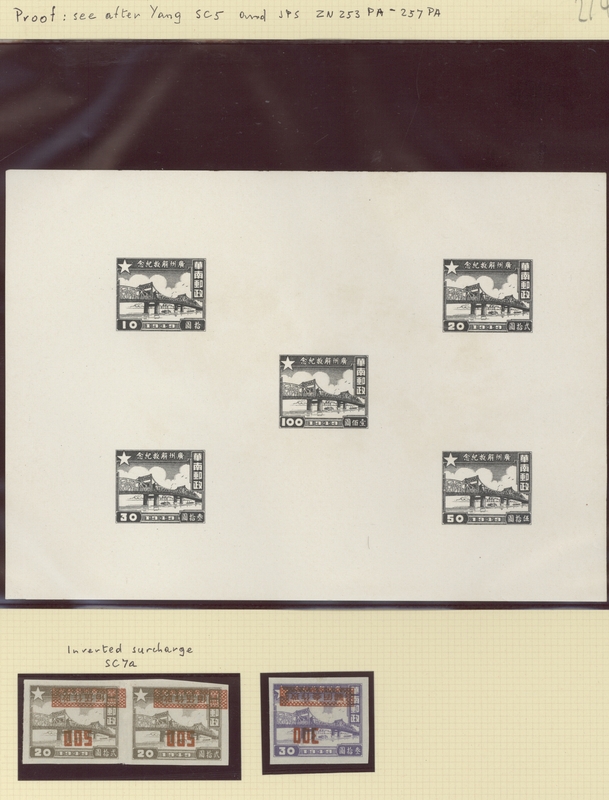 set of 4, imperf., VF. 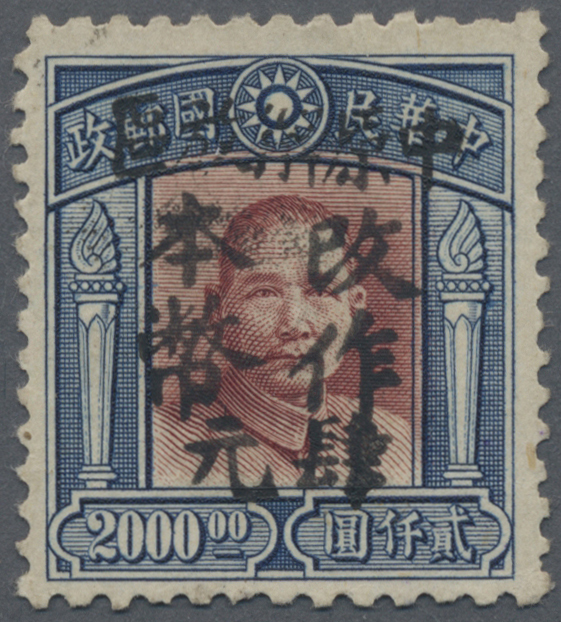 5342 ungebraucht ohne Gummi (unused without gum) (*) gestempelt (marked) 21-30, 1-3 Southwest China, Southwest People’s Post, 1950, "Liberation Temporarily Used for and new value" ovpt., $60/$30 - $50.000/$50, cpl. 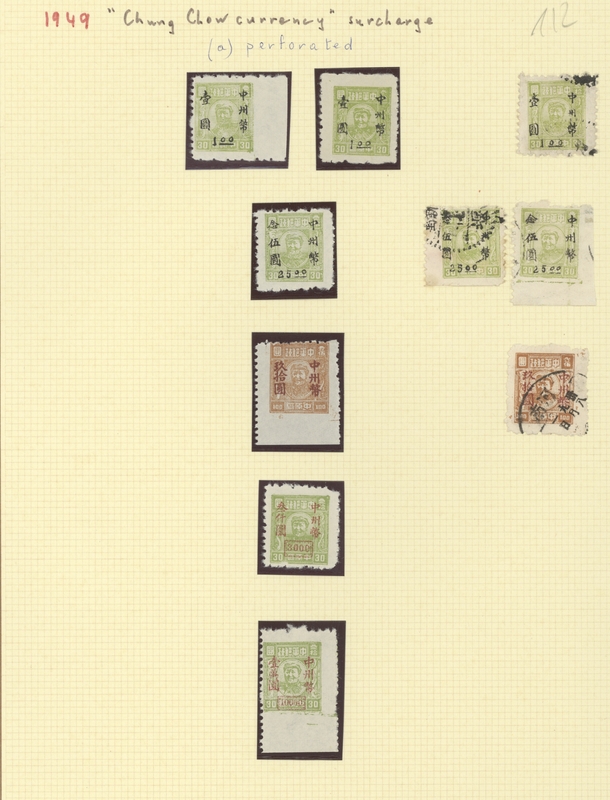 set of 10, mint no gum as issued, hinge remnant, additional 3 used copies, F-VF (Yang SW16-25). 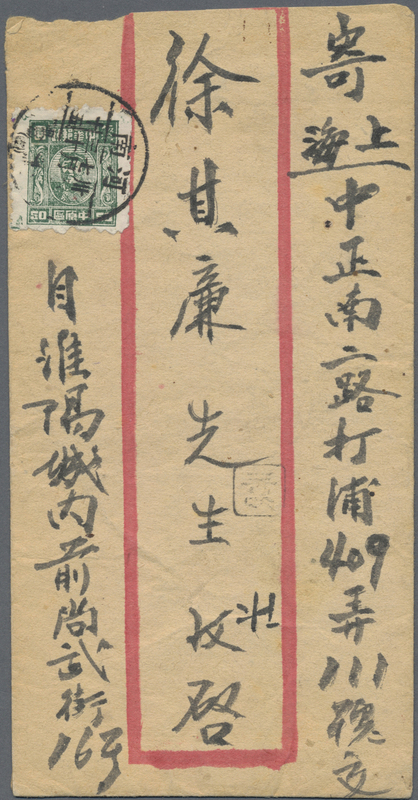 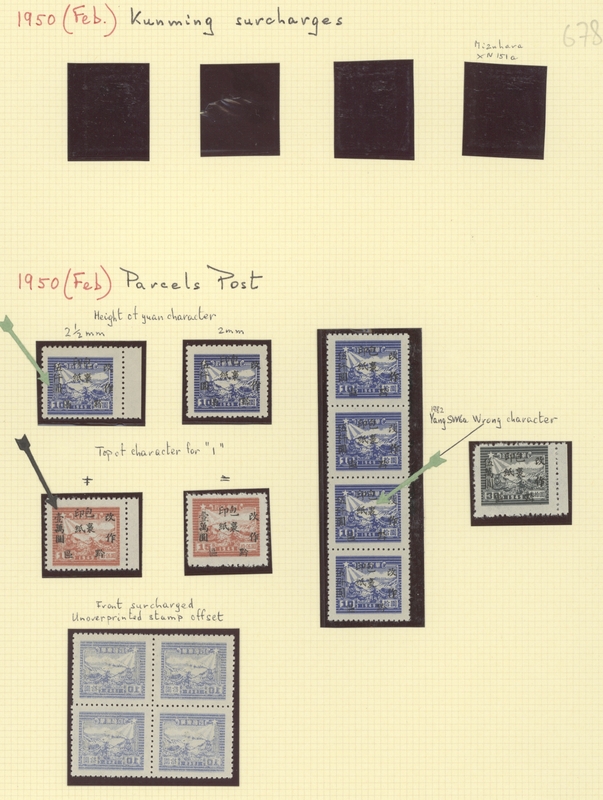 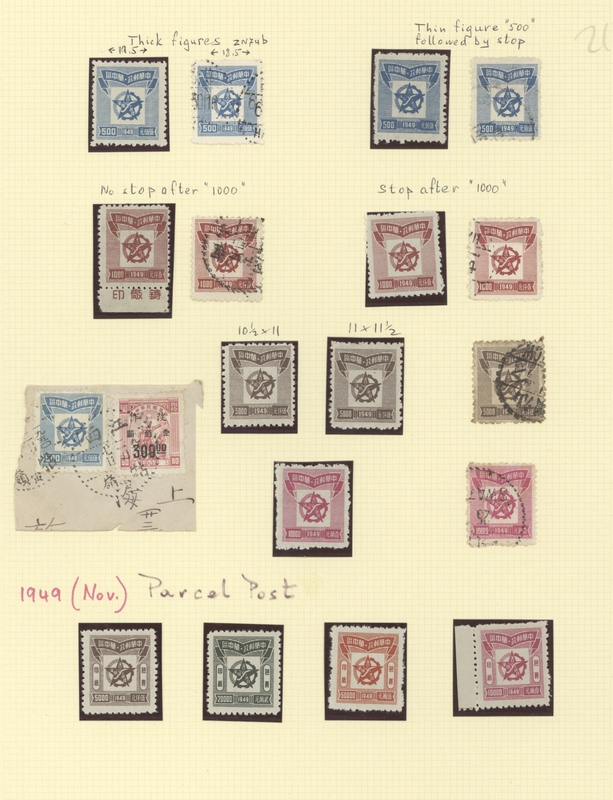 Guizhou, 1950, "Parcel Post Guizhou District Changed to and new value" ovpt., $5.000/$10 - $50.000/$30, cpl. 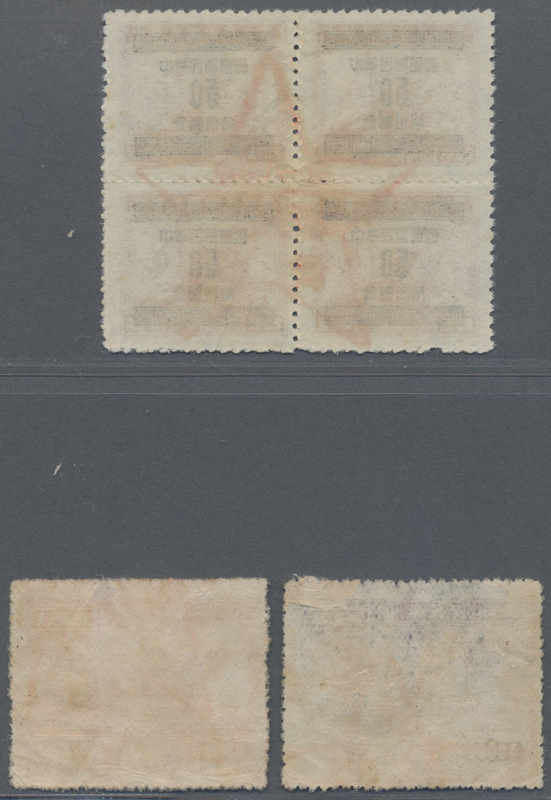 set of 3, mint no gum as issued, additional 4 copies with variety $5.000/$10 wrong character ovpt., VF (Yang PSW9-11). 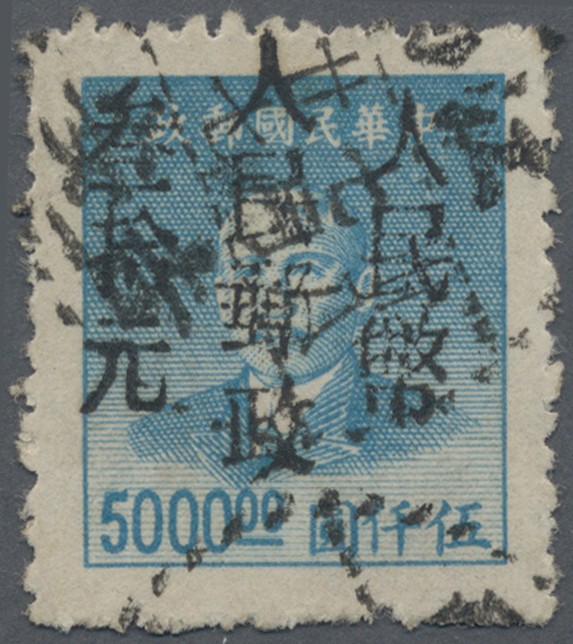 5344 ungebraucht ohne Gummi (unused without gum) (*) gestempelt (marked) 35-41, 57-61 Southwest China, East Sichuan, 1949, "Changed to and new value" ovpt., $1.200/$100 - $1.500/$200, cpl. 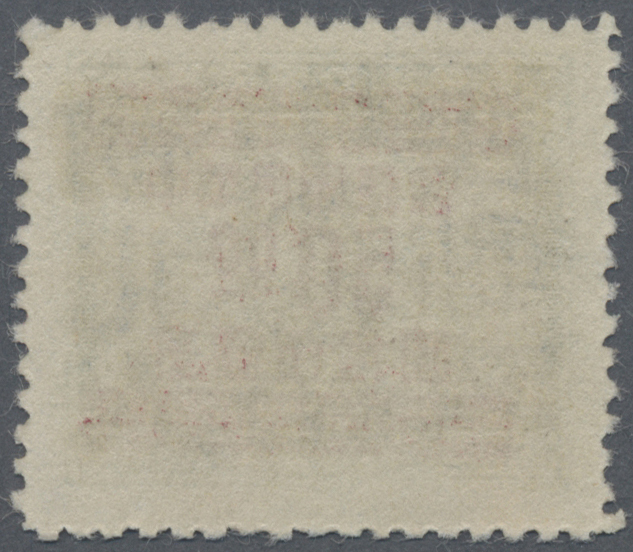 set of 2 in pairs, mint no gum as issued, F-VF (Yang SW28-31). 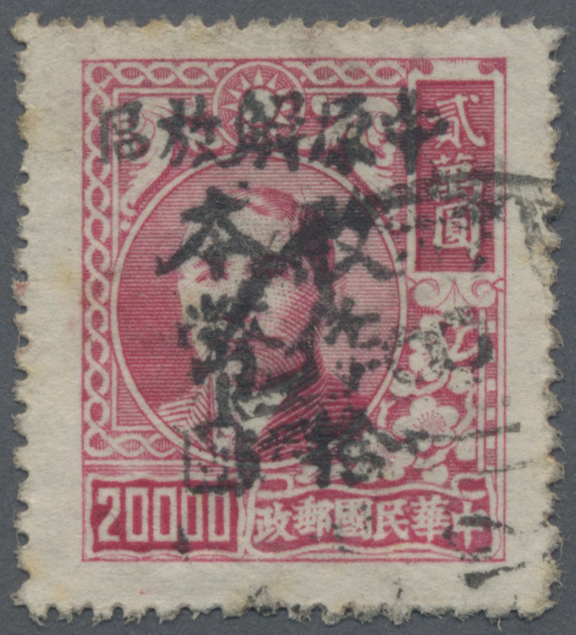 "East Sichuan" ovpt., $100 - $200, cpl. 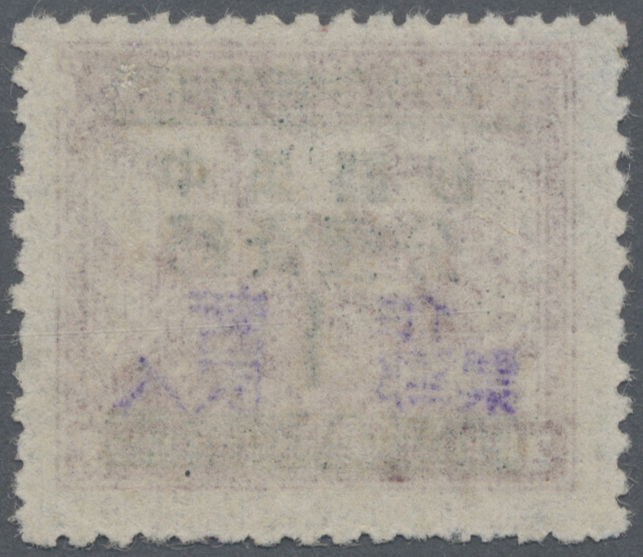 set of 2, mint no gum as issued, F-VF (Yang SW26-27). 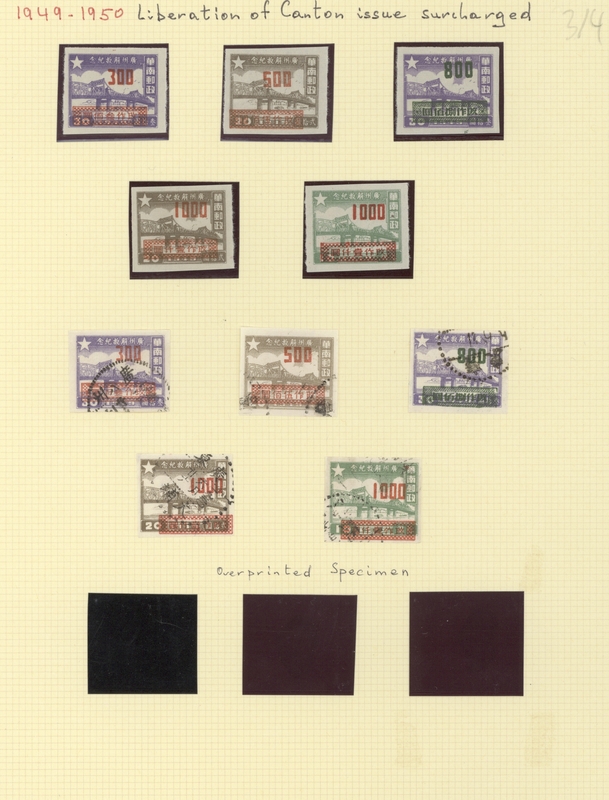 1949/50, "Changed to and new value" ovpt., $300/$100 - $2.000/$200, 2 cpl. 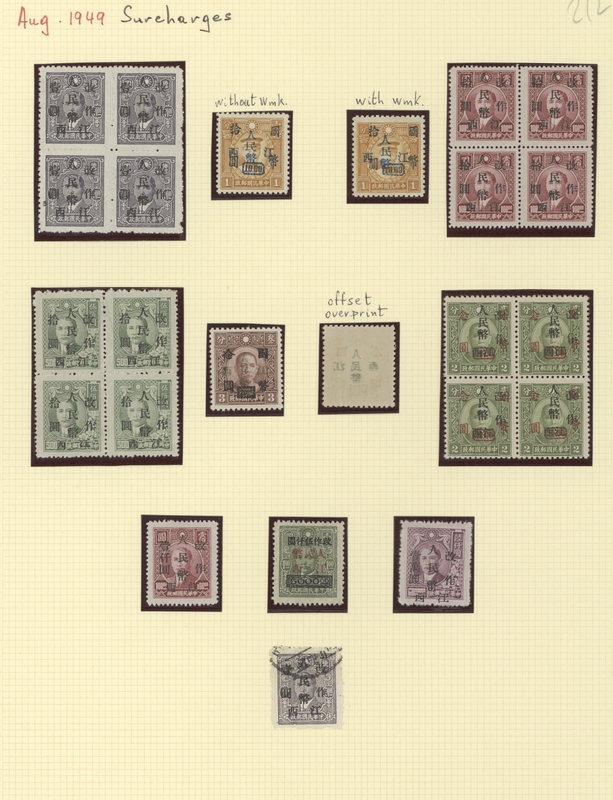 set of 5 used or mint no gum as issued, F-VF (Yang SW32-36). 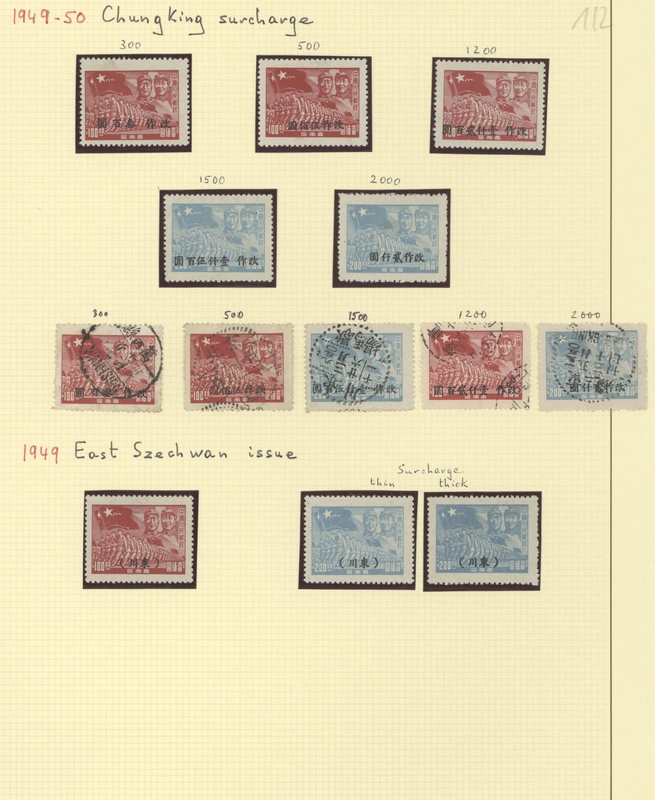 West Sichuan, 1950, "West Sichuan" ovpt., cpl. 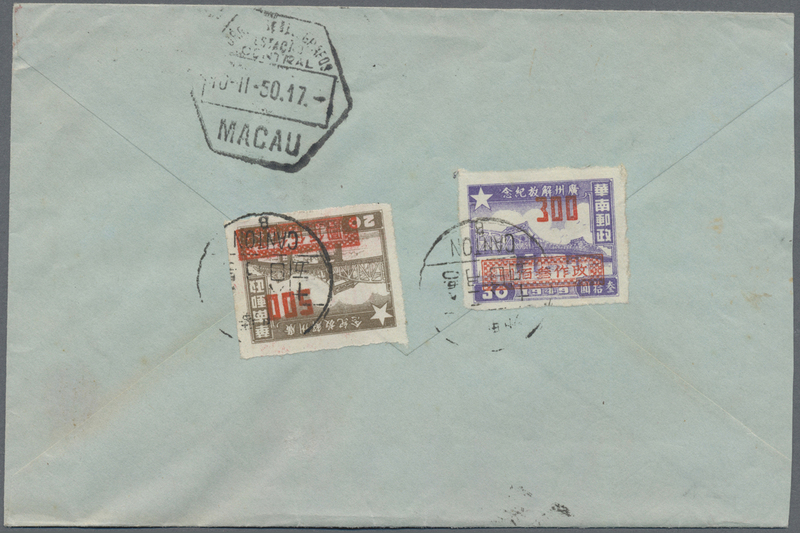 set of 3, mint no gum as issued, F-VF (Yang SW37-39). 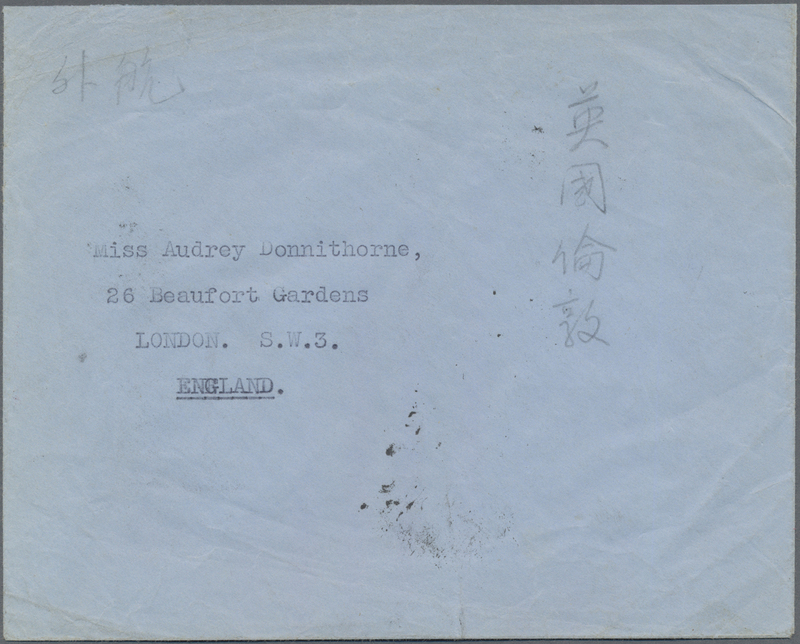 5348 ungebraucht ohne Gummi (unused without gum) (*) 31-33 Southwest China, Yunnan, 1950, "Southwest People’s Post" ovpt., cpl. 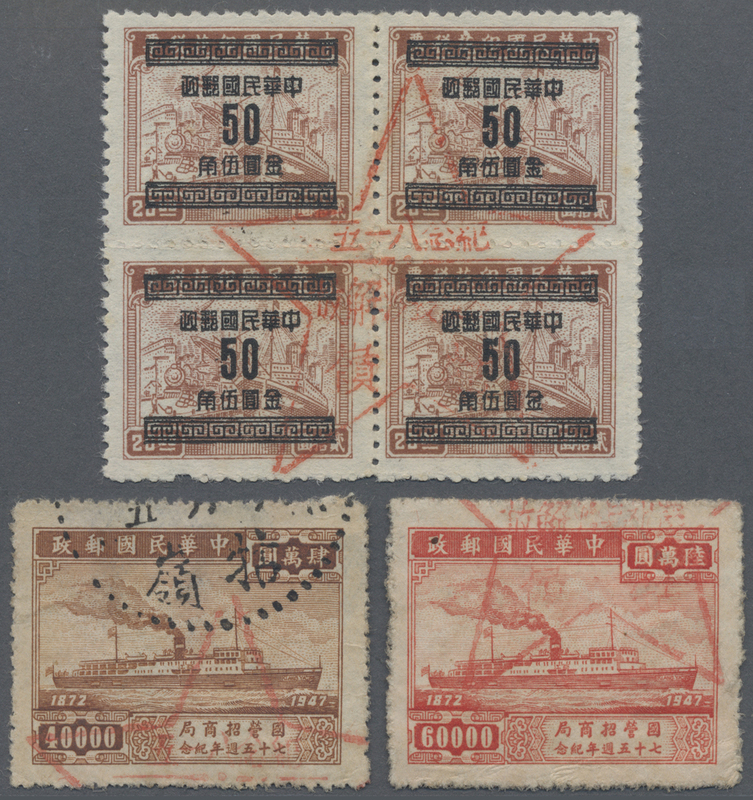 set of 4, mint no gum as issued, F-VF (Yang SW55-58).